So, you’ve been desperately looking for a complete list of authentic online sneaker stores? One that can really assure you that you’ll get real value for your money once you place your credit card in? Search no more. If you are looking to check out only the best of the best, take a look also at our article about the Top 20 Best Sneaker Shops in the world right here. Discover this epic list of all legitimate sneaker shops. (For a matter of planning – and also to help regarding shipping costs information – we divided the list by continent. Just for you to just be sure where your goods will be coming from). Above the Clouds opened in December 2010. Based in Sydney they have all the necessary sneaker brands: Nike, adidas, Asics, New Balance, Vans and more. A strong selection of streetwear brands and also footwear. One brand, one group, hundreds of stores. This is Foot Locker. Established in 2005, Highs and Lows is one of the most well-known and respected Australian sneaker stores. Make sure to also check out their constant flow of collaborations with the best brands around. adidas Originals, Converse, Clarks, Reebok, Vans and a significant number of stores all over Australia is their calling card. JD Sports is one of the best and biggest sneaker stores groups in the world. Platypus has more than 70 stores all across Australia and also New Zealand. No need to say more. Prime has been around since 1997. They currently have two store locations and an online store. Sole Mate Sneakers has been delivering fine kicks since 2010. Based in Sydney they also ship to most countries in the world. Jil Sander, A.P.C., Golden Goose, Fear of God and Valentino are some of the select brands available. Subtype is based in Sydney and they have a really strong selection of brands. YEEZY, Common Projects, Jordan, they have it all. Based in Melbourne, Up There Store was founded in 2010. They have a great selection of brands and products. Andorra is a one of a kind microstate on the Iberian Peninsula, in the eastern Pyrenees, bordered by France in the north and Spain in the south. They too have sneaker stores, namely Sneaker One, which is based in Spain, but now has a store in Andorra as well. Snipes is one of the biggest and fastest growing sneaker and footwear store groups in Europe and the world. They have several stores in Austria, including in Vienna and Innsbruck. Stil-Laden first established as a skate shop in 2005. They now have a very interesting selection of shoes and apparel. Zapateria (that’s “shoe store” in Spanish by the way) is based in Vienna. They have an interesting selection of brands and most of the important releases. Avenue established in 2007, in Antwerp. Nowadays they carry brands like adidas, Converse, Fila, Karhu, Kappa Kontroll and many more. Based in Brussels, Fresh has Nike and Jordan, but also brands like Stüssy and The North Face. Based in Sofia, Foot Court has an interesting selection of brands, including all the major ones like adidas, Nike, and New Balance. They also have international shipping. Even if their site is only available in Croatian the truth is that Noss has all the latest releases from Nike, Jordan, adidas and more. Established in 2011, Footshop is one of the top sneaker shops in the Czech Republic. All the major brands available and also international shipping. JD Sports is just one of the best and biggest sneaker stores groups in the world. In Copenhagen since 1999, Le Fix represents the best there is regarding kicks and clothing. Girls and kicks and kicks for girls are Naked’s calling card. Collaborations, fine brands, and a great catalog are some of the other greater assets. Norse is a brand, but it started out as a store. Fine brands, selected pieces of clothing and more available with international shipping for all. Rezet is the place to go in Denmark for all limited releases and of course all good GR’s as well. Established in 2011, in Aarhus, Shoe Chapter has a large selection of models of all major brands to chose from. Storm is way more than just a retail space. Culture, fashion, and sportswear all meet in one same place. As essential as it can be (regarding its name that is), Sneaker Shop is based in Aalborg, Denmark. Vans, adidas and many more brands available. A brand and a store, a store and a brand, Wood Wood represents a style and a unique aesthetic. Based in Tallinn, Reede has a selection of brands including adidas Originals, Karhu, Grenson, Reebok, Palace and many more. Beamhill is an adidas Consortium store, so that is more than enough as a visiting card. There also brands like Makia, Carhartt WIP, Vans, Nike, Polar and many more. Established in Marseille, in 1998, Corner Street is nowadays one of the most important sneaker stores in France. Energy currently has two brick and mortar stores in France. A great selection of brands and all major releases are available. HYPE has a very interesting selection of brands, and the store and its business just keep on growing. Nike, adidas, New Balance, all major releases are available at Impact. Founded in 2000, Impact has been growing ever since. One of the best and biggest sneaker stores groups in the world. Based in Avignon, Konsortium has all the major sneaker brands money can buy: adidas, Nike, Vans, Reebok, the works. Milk Store was founded in Nantes, in 2004. First a skate shop, and nowadays a shop with some of the most important sneaker brands in the world. Asics, Bellroy, adidas, Puma, Vans Vault, the brands go on and on. Also, make sure to check out their “Deals” section. One of the best, with several stores in Paris, SHINZO needs no intro. All major and limited releases can be found there. Highly limited releases, collaborations, Shoez Gallery has one of the strongest selection of sneakers available in France. Size is one of the biggest sneaker stores in the world right now. With stores all over Europe, they just keep on growing. Slash is based in Marseille and they have quite a number of fine brands. What started out as an independent site about sneakers written in French, quickly became one of the top online sneaker shops in France. One of the most important sneaker stores in the world, Starcow continues to be a major place for all limited releases. Based in Lyon, Street Connexion is one of the fastest growing sneaker stores in the French market today. Acne Studios, adidas Consortium, JW Anderson and many more. Summer Store is one of the best in France at the moment. Comme Des Garçons, Converse, adidas Consortium, Raf Simons, it is all there and available online. Retro and vintage, fine deadstock, Throwback have it all. From Paris to the world. It was in Fulda, some years ago, that a group of friends decided to establish 43einhalb. Nowadays they carry some of the most important releases around. From Dusseldorf to the world. Afew is becoming one major player regarding all things sneakers these days. The amazing collabs and the selection of brands is also part of their ethos. Based in Hamburg, Allike started out as small skate sneaker shop. Years after they opened their brick and mortar location and they are steadily becoming a place to go to find some good releases. Animal Tracks sells Puma, Daily Paper, Vans, Stussy and more brands. Based in Hamburg. From the small town of Darmstadt, asphaltgold quickly became one of the most important sneaker stores in Germany. BSTN (or Beastin’) has grown a lot. They stock all the major and limited Air Jordan releases and more. Burner has a fine selection of brands including Nike, adidas, Wemoto, Carhartt WIP and more. Based in Berlin, Civilist is one of the major worldwide shops when it comes to all things skate and sneakers. Check them out. Cultizm is all about denim, however, their footwear and sneakers catalog is becoming stronger every day. Firmament currently has a much bigger selection of apparel, however, they still carry fine footwear and sneaker brands like Vans Vault or visvim. A record store turned into sneakers shop. HHV is precisely that and much more. Check it out. Inflammable first established a strong connection to graffiti and streetwear. Afterward, the store became a major player when it comes to sneakers in Germany and also worldwide. MATE has grown a lot during the last few years. The store’s catalog continues to grow. Monox has all the fine brands money can buy: Nike, New Balance, adidas and more. From Berlin, Overkill is one of the most important sneaker stores in the world. And that is it. Sapato has been steadily growing during the last few years. Asics, New Era, Daily Paper or Le Coq Sportif are just some of the brands available. Snipes is one of the biggest and fastest growing sneaker and footwear store groups in Europe and the world. They have several stores in Germany. Beyond being a sneaker store, Solebox is also part of all sneakers history. Established in Germany they now have several stores all over Europe. From the small town of Chemnitz, Solekitchen has been selling fine sneakers since 1995. One of the most notable shops in Berlin, SOTO has a fine selection of high-end brands, but also of all major sportswear and footwear labels. New Balance, Nike, adidas, Converse, Stüssy and many more brands to chose from. From Stuttgart to the world. SUPPA has been around since 2012. The Good Will Out is one of the major players in all of the recent history of sneakers. Established in Cologne, The Good Will Out has all the major and most important releases. Based in Munich, Tint has been growing its brand catalogue during the last few years. Established in Frankfurt, Uebervart has a strong catalog of brands. Looking for that ultimate fashion sneaker? Or perhaps that unique Prada piece of footwear? Check out Voo. Yeezy, Vans, adidas Consortium, and more. DeviceOne is one of the strongest stores based in Greece. All the major Air Jordan releases, the most important Nike drops, adidas Originals, Füel has it all. Based in Athens, they have a really strong selection of brands and models available. A decent selection of brands and models available. 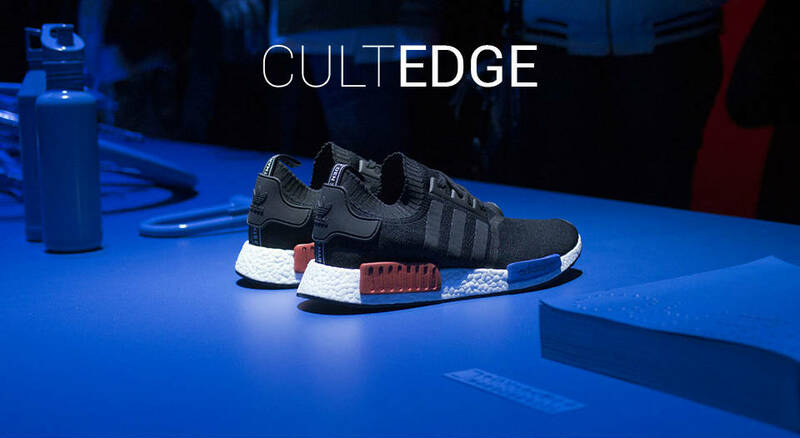 Established in 2016, Sneaker Cage is part of one of the major retail groups in Greece. Based in Budapest, it is for sure one of the most (if not the one) notable sneaker shop in Hungary. Stone Island, Champion, but also Nike are among the brands available to buy. Antonia has its own collaborations with major brands, Y-3, Fear of God, ACRONYM, the works. Airness has a strong connection with basketball. All of its major releases are all bball related. Legend has it that the owner of Backdoor is one of the major Air Jordan collectors in Italy. Backdoor, based in Bologna, is way more than just a fan shop. Maison Margiela, Rick Owens, but also Nike and Off-White are part of the brands available. When in Rome, go to I Love Tokyo. Asics, Karhu, Diadora, Fila and many more brands available. Kosmos is becoming a major player regarding all things sneakers in Italy and also the world. A strong selection of apparel and footwear brands. A store, a brand, a group, Slam Jam is all that and much more. All the limited editions, all the collaborations, almost every footwear brand you can think of. Based in Florence, SOTF is very much a high-end store. Major brands and models available. Established in 2008, in Milan, Special is nowadays one of the major sneaker stores in Italy. Based in Milan, Spectrum has all the best releases money can buy. Based in Rome, Suede Store is currently one of the major sneaker shops in Italian territory. ITK has an interesting selection of brands. Also make sure to check out their promo section. With two stores in Amsterdam, Baskèts is conquering its own spot within sneaker culture. All the latest releases from all major brands are available at Bruut. Check them out. A mind-blowing selection of brands and also pieces of footwear from designers like Raf Simons (just to name one). Epic is based in Breda. Nike, Puma, and Hi-Tec are some of the footwear labels presented. Based in Rotterdam and one of the historical references when it comes to all things sneakers. Patta also has its place in sneakers history. Great collaborations, major brands and a fine selection of labels. Based in Utrecht, Sneakerbaas has an interesting selection of brands including Nike, adidas, Asics and more. Sneaker District is quickly becoming one of the major players regarding all things sneakers in the Netherlands. Sunika is established in Amsterdam. adidas, Asics, Nike, Reebok, and Saucony are just some of the brands available. YME is the store to go when in Oslo. They have adidas Consortium and also all greater brands. ATAF opened its doors in 2007. Reebok, Stüssy, Under Armour and Nike are among the brands available. Based in Warsaw, Chmielna20 has a strong selection of adidas (including Consortium releases), Y-3, Nike and more. Eleven is one of the fastest growing sneaker stores based in Poland. Nike, adidas, New Balance and more brands available. Kicks Store is one of the strongest worldwide players when it comes to all things basketball. Make sure to check them out often, since they do have restocks of highly limited releases frequently. Run Colors has all the major brands available. They have several stores all over Poland. Diadora, Puma, adidas, Worldbox has it all. Worldwide shipping available. Bstrong has an interesting selection of brands and models. International shipping available. A high fashion retailer based in Porto, Wrong Weather also has a strong selection of footwear brands including adidas Originals, Common Projects, Maison Margiela and more. Xtreme is one of the major players regarding all things sneakers in Portugal. The store currently has several retail locations. All the major releases of all premium brands. Brandshop also has some limited releases and editions. With its store in Bratislava, SneakAvenue has grown into one of the most prominent sneaker stores in Europe. Highly limited Air Jordan and Nike releases are just two of their major visiting cards. Based in Barcelona, 24 Kilates is well-known due to their amazing collaborations with great brands like Diadora, New Balance and more. Foot District is one of the most important sneaker shops in the world. Tier Zero, collaborations, Off-White, the Spain based store has it all. Based in Madrid, Nigra Mercato has a strong selection of brands and models. With stores in Madrid and Barcelona, Sivasdescalzo has one of the strongest catalogs in Europe. One of the greatest streetwear and sneaker stores in the world. Shelta is based in Gothenburg and they have been around for years. Quality brands and limited releases available. What started out in Sweden is now a worldwide brand. Sneakersnstuff is one of the major players regarding all things sneakers in the worldwide market. Every sneaker fan out there knows about Titolo. They also know that the Swiss store and online shop is one of the most well known legit sneaker websites around. Fine and high-end brands and also all major footwear labels available. Skate goods, footwear, apparel. Consortium has it all. Cooshti first established back in 1993. Based in Bristol, they have all the major footwear brands available. All the brands, all the stores, all the releases. This is END. Clothing. Flatspot is just of those sneaker and lifestyle shops that you have to know about if you’re into skating. Foot Asylum has more than 65 stores all over the UK. Enough said. When a sneaker fan thinks about sneakers, one of the first shops that come to mind surely is Foot Patrol. From London to the world. From Aberdeen to the world. Hanon is known worldwide for their amazing collabs with brands like Asics, New Balance and more. One of the major sneaker stores groups. And they just keep on growing. Distinct releases, limited editions, OFFICE has a major selection of footwear and apparel. First opened its doors in 1996 and nowadays is a major player regarding all of the most important and coveted releases. Discover Offspring. Size is just one of the biggest sneaker stores in the world right now. With stores all over Europe, they just keep on growing. The Hip Store has been growing ever since they opened its doors back in 1987. From the small town of Eastbourne to the whole world: Urban Industry has been delivering quality goods and footwear for years. Wellgosh has been around since 1987. All major brands, whether apparel or footwear are available. Based in Ontario, BBranded first established back in 2003. Today they have hundreds of models from all major brands available. Based in Toronto, Capsule has been selling the good stuff since 2003. Courtside is based in Atlantic. adidas, Air Jordan, Nike, they have it all. HAVEN is one of the most important lifestyle, sportswear and fashion stores based in Canada. Off the Hook story began way back in 1999, in Toronto. A strong connection with Vans is one of their major visiting cards. Livestock is just one of the major worldwide players when it comes to all things sneakers. Based in Ottawa, NRML has a strong selection of brands including New Balance, adidas, Asics, Fila, Puma and many more. Solestop started out as an online boutique in 2004 and they have been around ever since. Alife is just history; it is one of the greater parts of the grand chronicle of the whole sneakers business. Based in New York. Based in San Mateo, California, Atlas is way more than just a skate shop. A strong selection of apparel and footwear is available. Established in 2011, BAIT is all about premium footwear. Also worth a mention are the amazing collaborations that they have done over the years. Inspired by Japan, established in California to be a worldwide player. This is BLENDS. With retail locations in Boston and Los Angeles, Bodega is way more than just a store. Bodega is an institution. Burn Rubber is sneakers from Detroit. Every sneakers fan knows about this. Born in Boston, Concepts is also and nowadays a worldwide brand. New York and Dubai are just two of the city’s where they have retail locations. Sports gear, basketball shoes, lifestyle releases. All available. Known for their amazing collaborations, whether with Asics, Diadora or other major brands, Extra Butter has been delivering the goods all the way from New York City. Since they first established in Las Vegas, Feature has become a major reference. Collaborations and great communications and PR plan did the rest. One of the major players regarding all things sneakers in the USA. Air Jordan, Nike, Puma and more, so much more, all available at their 270 and more stores. Important releases and all major brands available. Quality brands, major releases, all available at Kicks USA. Ronnie Fieg is the man of KITH. KITH is one of the most important sneakers and apparel stores in the US. From Seattle to the world. A strong selection of brands that includes not only the obvious such as adidas, Vans or Nike, but also brands like EYTYS and Raf Simons. Check out Likelihood. Sneakers, sneakers, and more sneakers. Founded by Matt Halfhill, Nice Kicks is a website and a shop and one of the best. Amazing lookbooks, great product and an almost perfect selection of brands. This is Chicago based NOTRE. The story of Oneness began in 2007, at a Lexington Kentucky shopping center. Nowadays they have brands like Jordan, Acapulco Gold, Alife, Clot or Puma. Check them out. Packer Shoes started in 1907, yes you read that right. Nowadays they are one of the greater references to all things sneakers in the US and worldwide. Based in Chicago, Saint Alfred has been around for years. Vans Vault, adidas or Nike are just three of the major brands available. Sneaker Politics was founded in 2006, in Louisiana. They currently have retail locations in Lafayette, New Orleans, and Baton Rouge. Philadelphia based UBIQ has been a premium footwear store ever since it first established. Even if 2001 (when they opened their doors) there was no such thing as “premium sneakers”. What started out as a store in Los Angeles is nowadays a worldwide brand. James Bond and Eddie Cruz are the founders of the one and only Undefeated. VILLA currently has 126 stores in 10 states. Enough said. West NYC first established in 2007, in New York. Founded by Lester Wasserman the store currently has a selection of brands including adidas, Nike, Vans, Asics and many more. Based in Atlanta, Wish established in 2010. All the major releases of all important brands are available. We created this unique list as a way to provide a unique value for our readers. So that you can be sure that that money that it took you ages to save is going to get its real worth. You could be looking for websites that sell authentic Jordans, or just for the best website to buy Nike shoes. You could’ve been searching for ages. We know how it goes. This is the one and only list of authentic online sneaker stores that you will ever need. Needless to say, this list will be constantly updated. Please feel free to have your saying in the comment section and update or disclose any extra info that you feel is important to share with the community.